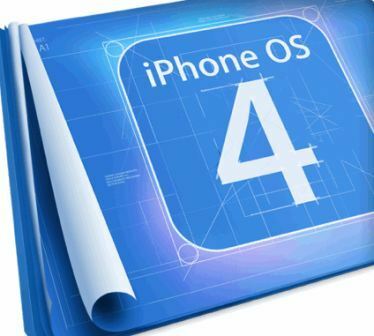 iPhone OS 4.0 is the next major release of the firmware’s operating system (OS) for popular Apple’s iDevices, including iPhone, iPad and iPod touch. In fact, Apple officially the impending arrival of iPhone OS 4.0 through Apple event held at held at Apple’s One Infinite Loop Campus in Cupertino on April 8th, 2010, with video demos and highlights of key enhancements and features mainly aim to improve the stability and productivity of iPhone, and competes much more advanced smartphones on market today. Multitasking support so that background audio, background location, VoIP, push notifications, local notification, task completion and other apps can switch fast. But only on iPhone 3Gs and 3rd generation iPod Touch. Older iDevices such as iPhone 3G and iPod touch 2G can upgrade to iPhone firmware OS version 4.0, but won’t support multi-tasking due to limited hardware capability (unless with hack to enable multitasking). Enhance emails for unified Inbox for multiple Exchange accounts, threaded messages and fast switching. Folders to group apps into folder on drag and drop UI, intelligent naming, support up to 2160 apps on iPhone. iBooks eBook reader app with iBookstore with ability to buy once read anywhere and sync page and bookmarks wirelessly across user’s devices. New Enterprise features such as Data Protection, Mobile Device Management, Wireless App Distribution, Multiple Exchange accounts, Exchange Server 2010, SSL VPN support. Game Center, a social gaming networking app with ability to invite friends, set up matchmaking for multiplayer gaming, leaderboards and achievements. iAd – mobile advertising based on HTML5. Other features and enhancements on iPhone OS 4.0 include new framework called accelerate for hardware accelerated math functions, ability to search SMS and MMS messages, Web search suggestions, Bluetooth keyboards, CalDav invitations, larger fonts for Mail, alerts, cell data only setting, spell check, persistent Wi-Fi connection, gift apps, birthday calendar, taking screenshots, more privacy features, recent Web searches, playlists creation, 5x digital zoom, nested playlists, CardDav, tap to focus video, Places in Photos app, geotagging, iPod Out, Home screen wallpaper, ability to set wallpaper for lock screen, wake on wireless, screen orientation lock, ability to access iPod Controls without exiting running app, button to exit running app in the background, file transfer between PC and portable device, and many more. For developers, there are over 1500 new APIs which allow developers to access the calendar, photo library, quicklook. 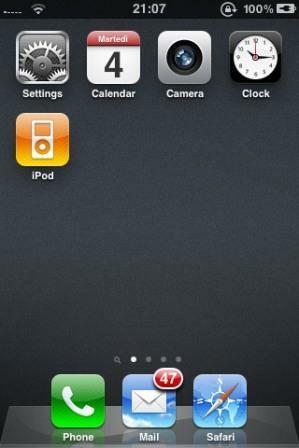 iPhone OS 4 will be available for iPhone and iPod Touch in late June 2010, and iPad in late September 2010. The new OS software is expected to ship built-in on next-generation of iPhone HD (4G). No upgrade pricing to iPhone OS 4 is announced yet, but most likely most will get to upgrade for free. Note that iPhone OS 4.0 is not released for 1st generation iPhone 2G and 1st generation iPod touch 1G. Apple has released a Developers Preview and several betas of iPhone OS and SDK for certified Apple developers, which can be downloaded for free from iPhone Dev Center.